“One man is dead. The life of another is at stake.” This season, the Annie Russell Theatre is putting on “Twelve Angry Jurors.” Opening on Sept. 28, 12 complete strangers will crowd into a hot room to determine the fate of a suspected murderer, either sentencing him to death or allowing him to live. “Twelve Angry Jurors” was originally a television movie titled “Twelve Angry Men” (1954). Written by Reginald Rose, the play brings together people of diverse and conflicting perspectives and backgrounds, forcing them to unanimously agree on a verdict with a man’s life on the line. In the process, discussions about race, ethnicity, classism, and the weight of capital punishment arise. The blatant and profound social commentary is described by much of the Annie Russell Theatre cast to be timeless and transcendent. This adaptation of the play has been cast irrespective of gender, including female characters to add another layer to the play’s social commentary. Cast member Josh Scott (‘20) said that including women in positions of power, especially in the context of the 1950s, makes this play uniquely compelling. 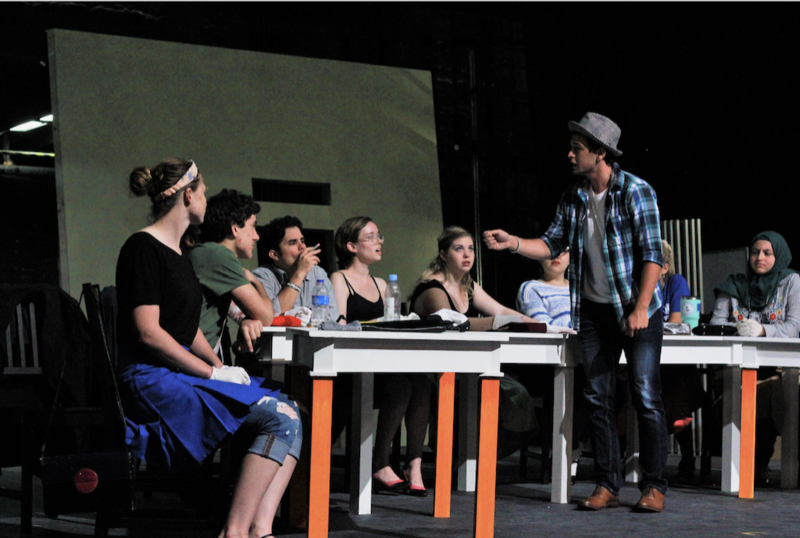 In a show where the characters do not have names, the raw humanity of the jurors is the focus of the play. By letting each character’s unique experiences contribute to their argument toward a verdict, implicit biases are brought to light and confronted. In an interview with Professor and Director Thomas Ouellette, he said that he proposed this specific play as a response to the current tempestuous political climate in the United States. “This play is about the rule of law, about the benefits and challenges of living in a democracy. I wanted to work alongside student actors grappling with issues surrounding fairness, empathy, class, and race. All of that is deeply embedded in this play,” Oullette said. “Each cast tells a new story,” cast member Ghina Fawaz said (‘22). Given the anonymous nature of the characters, the script can be interpreted in a number of ways based on the gender, culture, and ethnicity of the people performing it. This season, the Annie Russell Theatre shows will be featured on their own dramaturgy website. Managed by the play’s dramaturg, Allison Wilson (‘20), audiences can find more information on “Twelve Angry Jurors,” including time period, historical context, and themes, at www.rollins.edu/jurors.